Each new toy & collectible is our best ever. This question is on the top of our minds during the entire toy making process. Combined with fan happiness, this drives every decision we make from early design through prototyping and final production. Aesthetic: Demanding fans agree the collectible looks amazing. Design & Engineering: Toy features not only work as they should – they work surprisingly well. Overbuilt: Collectibles last for years and years of happy fan & collector enjoyment. Exceptional QC: We make toys together with the most stringent brands in the world, for the most persnickety collectors and consumers. As a result our quality control process is exacting and includes numerous internal and independent inspections. Our Acceptable Quality Levels (AQLs) are rigorous and our defect rates are among the lowest in the industry. Design & Prototyping – Design Thoughtfully: Making wise design decisions during concept and prototyping is the only way to have great finished toys. We agonize over minute design details to ensure the art & aesthetic is terrific. For engineering we carefully consider balance, any joints, accessories & toy features, electronics, material choices and various interconnections. We also begin creating our first QC checklists during design & prototyping, long before production starts. Pre-Production – Planning & Molds: All key design & quality elements are identified and compiled into a master QC checklist. This is used to train factory production teams and manage QC. We also refine patterns, molds and tools so they’re the best they can be: top-notch patterns & tools make great toys possible. Production – Multiple QC Steps + Independent Audits: We oversee QC on individual production steps and components, not just during finishing & assembly. Our toys undergo a number of quality control reviews throughout production – including the early stages of production to ensure production workflow is achieving our design & quality goals. For an extra dose of objective review, independent third-party inspections and audits help ensure our toys are truly the best that they can be. 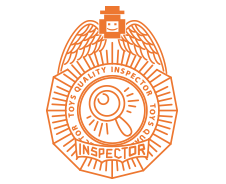 Before Shipping – We Only Ship Great Toys: Independent inspectors perform a final random inspection to ensure we’re exceeding our quality expectations and delivering truly great toys. After Delivery – We Stand By What We Make: We stand behind our toys and collectibles. We’ll happily replace or refund any toys or collectibles that are damaged or defective. And we’ll work to ensure all our clients & fans are happy! Quality is stellar and speaks for itself. If it has not already been said enough, MAJOR PROPS to you and crew. You went far beyond the call of duty. As always, I am completely and utterly impressed by the quality of work you Happy Workers produce...Thank you all for your astounding work! People are amazed at the quality... our thanks to you and your team!! Everyone was surprised at the great quality.Thank you! ...so much better then we could have dreamed them up to be. The quality is excellent. Thank you so much for the excellent, happy service!